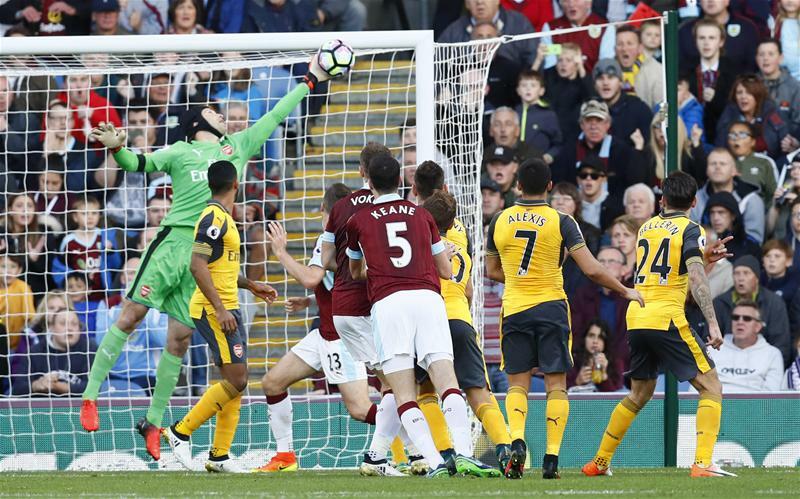 A controversial last-minute goal handed Arsenal a hard-fought victory as they broke Burnley hearts after a do-or-die defensive effort from The Clarets. The hosts, who were inches away from a shock goal after Michael Keane hit the bar, were just seconds away from completing a defensive masterclass, but it wasn't meant to be as Oxlade-Chamberlain's shot struck came off Koscielny's arm and bounced into goal. 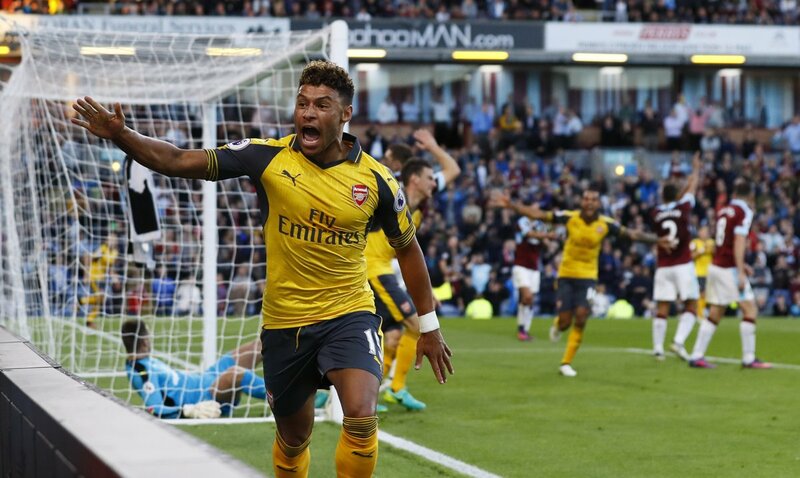 Turf Moor was the setting for the culmination of the seventh gameweek of the Premier League season, and it was Arsenal who wanted to set the pace early. Alex Iwobi slashed his shot wide, while Alexis Sánchez's attempt was deflected, with the Gunners unable to truly threaten in a dull first half. 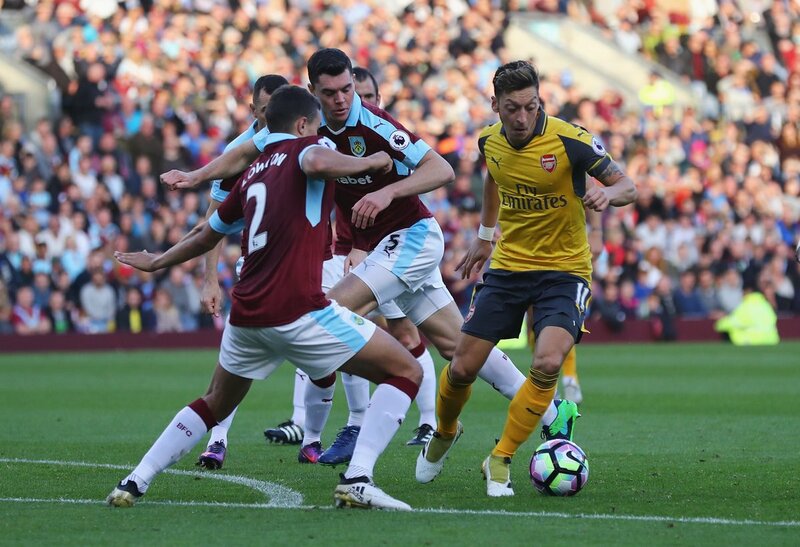 Mesut Özil registered a chance in a very quiet 45 minute period for the German, left out on the side at times with the Clarets keeping them disciplined. For the hosts, Sam Vokes was drawing the most eyeballs, overcoming a handful of duels with Shkodran Mustafi to get on the board with the closest chance of the half. A header opened up after Lowton delivered the ball back in, and from dangerous range, the Welshman headed wide. Despite the solid efforts from Arsenal, the teams would head in to the interval all square after some sterile play - even Santi Cazorla's double-footed magic couldn't salvage it, as Arsenal just couldn't find a way through. Things continued to seem pretty straightforward from Arsenal's approach; crossing into the box and applying pressure, but the absence of Giroud was potent - with no target man in the area. 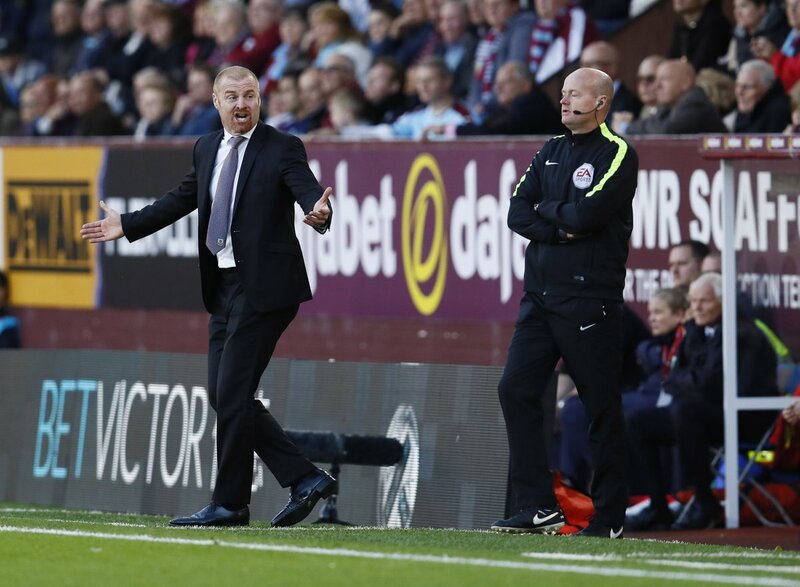 They may have surrendered a lot of possession, but Burnley were suffering no repercussions from it so far. Mesut Özil got a look-in to start the second half but his side-footed attempt was eventually denied. Burnley weren't backing up all the time though, and made themselves known with a blistering counter attack concluding with Vokes' header which lead to a messy clearance. Then, in the 75th minute, the hosts would strike the bar from a corner kick. Michael Keane rose above the rest and planted a piledriver which came back out and erased with more panic defending. Arsenal tried to chip away but time was quickly running out, and Özil skying into row Z wasn't going to help. With the writing on the wall, it appeared Burnley were about to pick up a huge, hard-earned point - but a controversial goal would break them. Burnley attempted to clear cross after cross, but one from Sanchez would open it all up. Walcott met it and directed it towards the far post, where Oxlade-Chamberlain looked to blast it in from close range, but instead the high shot came bouncing off the hand of Laurent Koscielny and bouncing into the back of the net. Football is a cruel sport at times, and Burnley felt that wrath on the Sunday afternoon kickoff. But for Arsenal fans, it was about time a little luck came their way, and a last-minute controversial winner is just one of those things.